If it’s been a while since your last dental appointment you may be pleasantly surprised at the changes you find at your dentist’s office. From state-of-the-art technology, to new treatment procedures you’ll be shocked at how comfortable and efficient treatment today can be. Learn more about how dentistry has changed over the years from your dentist in West Monroe, LA. 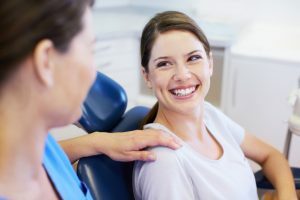 If fear or anxiety has kept you from seeing your dentist over the years you’ll be happy to learn that we now have many great options to help you feel more relaxed and at ease during your treatment procedure. You can choose nitrous oxide, otherwise known as laughing gas, to take the edge off; or oral sedation, which will leave you with little memory of your appointment. Dr. King Scott will be happy to discuss your options for sedation with you so you can have your treatment completed with confidence and ease. Whether it’s been one year since you’ve seen your dentist or twenty, things are always advancing in the world of dentistry. Dr. Scott invests in the latest technology to ensure that treatment is more comfortable, accurate, and efficient for his patients. With the use of intraoral cameras we can show you with full color pictures exactly what’s happening inside your mouth. This allows for a more accurate diagnosis from Dr. Scott, and a better understanding of your treatment needs for you. The soft tissue laser allows us to complete many procedures such as gum disease treatments and gum re-contouring with more ease and precision than ever before. Using light and heat, the laser minimizes bleeding and accelerates the healing process. One of the greatest advances that modern dentistry has to offer is the dental implant. With a 95% success rate this is by far the best option for replacing one or more missing teeth. The success of dental implants lies in the fact that they replace both your root and your tooth. A dental implant naturally completes your smile with a crown that functions exactly like your natural tooth did. Dental implants can also be used to support dentures, partials and dental bridges for patients who are missing multiple teeth. If it’s been a while since your last dental appointment, we would love the opportunity to show you all the great changes and advances we have to offer. Dr. Scott has many years of experience, hundreds of hours of advanced training, and a gentle touch so you can rest assured that you’re working with a top dental professional when you choose him. Give us a call today to schedule your appointment.